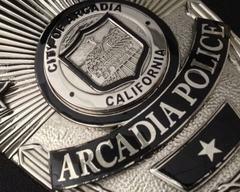 Each week, we will post an arrest of interest pointing toward arrest and crime trends within Arcadia. Purse snatches and street robberies will occur from time to time and with good investigative work, witness assistance, and other evidence, we will hopefully be able to track down the culprit. A female shopper was leaving a store in the 1300 block South Golden West Avenue at about 7:30 p.m. on January 3, 2107. A male suspect approached her, said nothing, grabbed the victim's purse off her shoulder, breaking the strap in the process, and ran off to an awaiting SUV. The suspect and SUV sped off. Christopher S. Urquilla and Guadalupe Rivera, both 35-years-old, from Irwindale, were both arrested and booked at the Arcadia City Jail on felony charges. Anyone with information on either of these incidents is encouraged to contact the Arcadia Police Department at 626-574-5156. 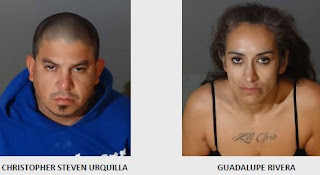 Or, if you wish to remain Anonymous, call “LA Crime Stoppers” by dialing 800-222-TIPS (8477), use your smartphone by downloading the “P3 Tips” mobile app on Google play or the App Store, or by using the website http://lacrimestoppers.org.